February 24, 2015, 11:18 a.m. 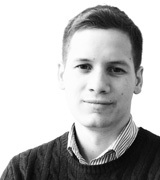 In YouGov’s latest data tracking how people would vote in a referendum on Britain’s membership in the European Union found support for the union at an all-time high of 45%, up from 42% last month. The lead for the IN camp (+10) is also the largest YouGov has recorded since it began asking this question in September 2010. The previous record was a similar +8 found last June. Support for staying in the EU has climbed to 45% from a low of 28% found in May 2012, when OUT led by 23 points. That May 2012 poll was conducted as the Eurozone crisis deepened and just days after a majority of Greeks voted for parties that wanted throw out the country’s bailout agreement with the EU and the International Monetary Fund (IMF). Late last week, European finance ministers rejected similar proposals by the Greek government, led by the recently elected far-left party Syriza. Support for the union sunk to 28% again in October 2012. The 17-point swing towards IN is matched by an identical swing away from OUT, which reached 52% in August 2011 and is now down to 35%. Just as many of the bumps in public opinion regarding the EU have coincided with critical moments in the Eurozone crisis and the Great Recession, support for the Union has risen more or less in tandem with rising economic confidence. 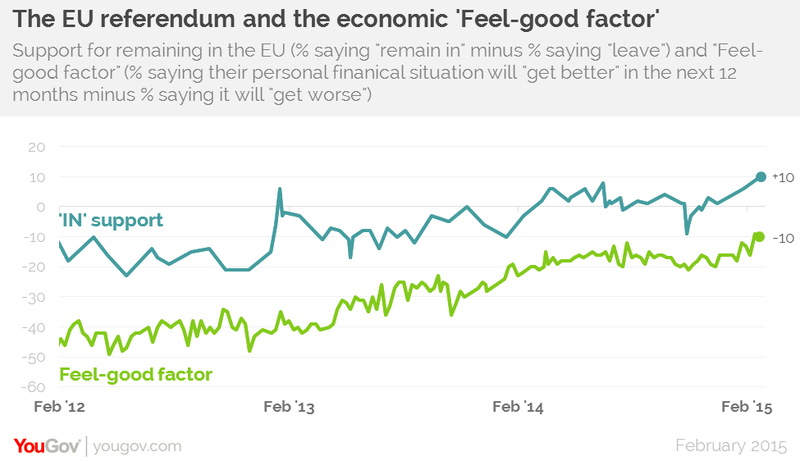 YouGov’s measure for personal financial confidence, or the “Feel-good factor”, also reached an all-time high recently. It’s -9 rating two weeks ago was narrowly the highest recorded since 2007, and this week’s -10 matched previous peaks. One possible explanation for the movement towards IN is that voters have become less interested in disrupting the status quo as they have increasingly felt its rewards. To calculate the Feel-good factor, respondents are asked whether they think their personal financial situation will get better or worse over the next 12 months. The percentage who say “get worse” is subtracted from the percentage who say “get better”. Both measures – the EU referendum and economic good feelings – bounce around quite a bit, and the new heights are only slightly higher than previous ones. But the movement is consistent with a longer-term trend. 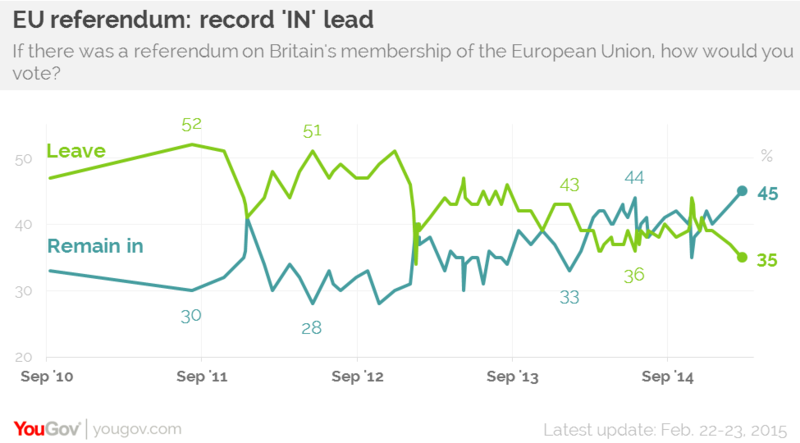 The rise in pro-EU sentiment also corresponds with a recent dip in support for UKIP, a Eurosceptic party.